I've recently re-introduced serious skincare into my routine and oh lord I forgot how amazing it is to just spend time to myself on my skin, how amazing it makes my skin look and feel and it just gives me that self confidence I need. 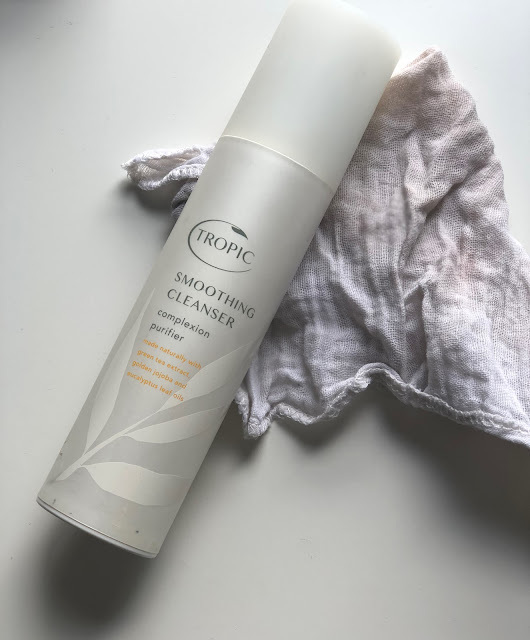 I start my routine by cleansing my skin with Tropic's ABC Smoothing Cleanser Complexion Purifier, I just put 2 pumps (depending on how much makeup I have on) rub it into my skin and then using a warm damp muslin cloth I gently take it off. I then go in with a mask every other night, alternating between The Body Shop Vitamin C Glow Revealing Liquid Peel, which I highly recommend. Its the perfect exfoliating mask that gets rid of any unwanted skin and leaves your skin looking fresh. 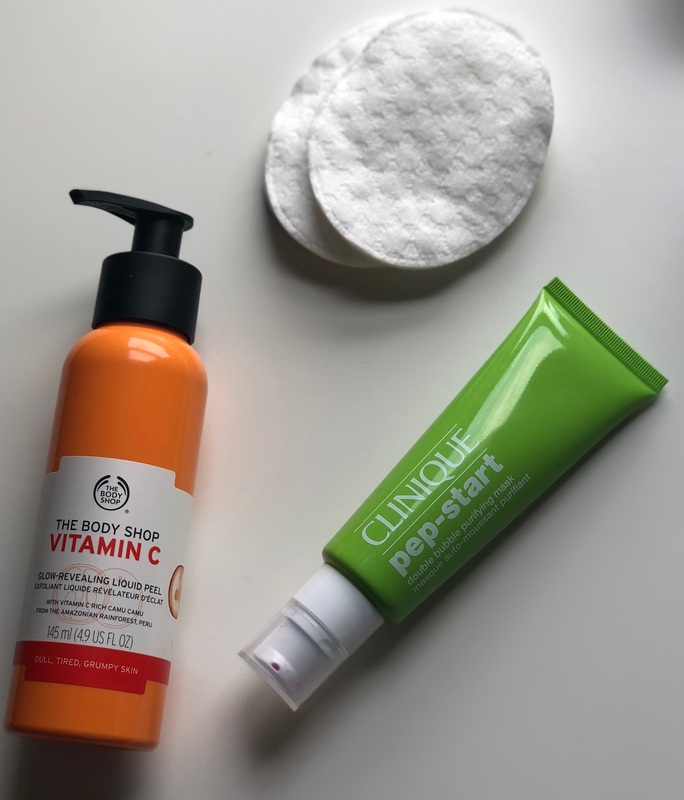 I also use the Clinique Pep-Start Double Bubble Purifying Mask which feels lovely, there's something so satisfying about the bubbles forming on my face. It smells amazing and works as an almost cleanser helping to get rid of excess oil and dirt left on the skin. 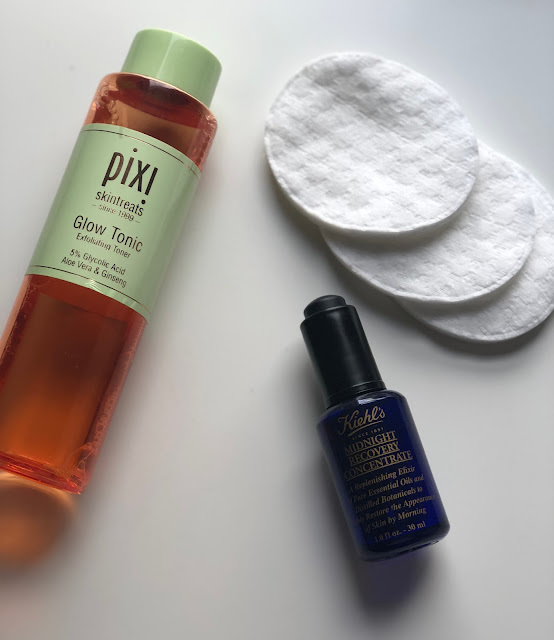 Once the masks are done I go in with a toner, I have loved the Pixi Glow Tonic Toner ever since I first used it a few years ago. My skin fluctuates between being dry and oily throughout the seasons so this is the perfect toner for me as it helps tighten and brighten my skin. To finish off I always use my trusty Kiehl's Recovery Oil, this is again a product that never fails to amaze me, is a cult classic to me and it lasts for such a long time. I tend to use two pumps per night which is more than enough for my skin. It has the most beautiful light lavender scent that is so perfect because you can notice that it's there but it also isn't overwhelming. I have trouble sleeping (like going to sleep at like 5am sorta bad) so I'm so happy this product is back in my life. 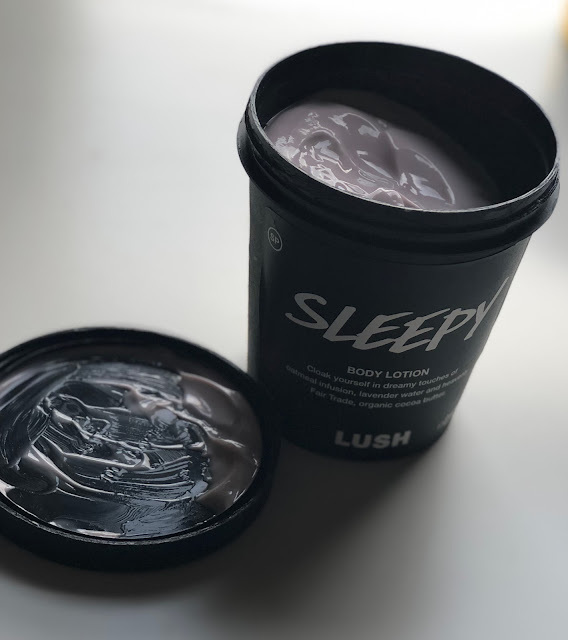 The Lush Sleepy Lotion quite literally puts me to sleep. Before I put my pj's on I cover my body in it, making sure I put loads on my wrists, chest, bottom of my feet and right near my nostrils. It really does moisturise your body which is a bonus as I only have to do one moisturiser for my body each night and the smell is absolutely beautiful. Again it's a lavender scent but its more sweet than most lavender products, it just relaxes me and sends me right to sleep. 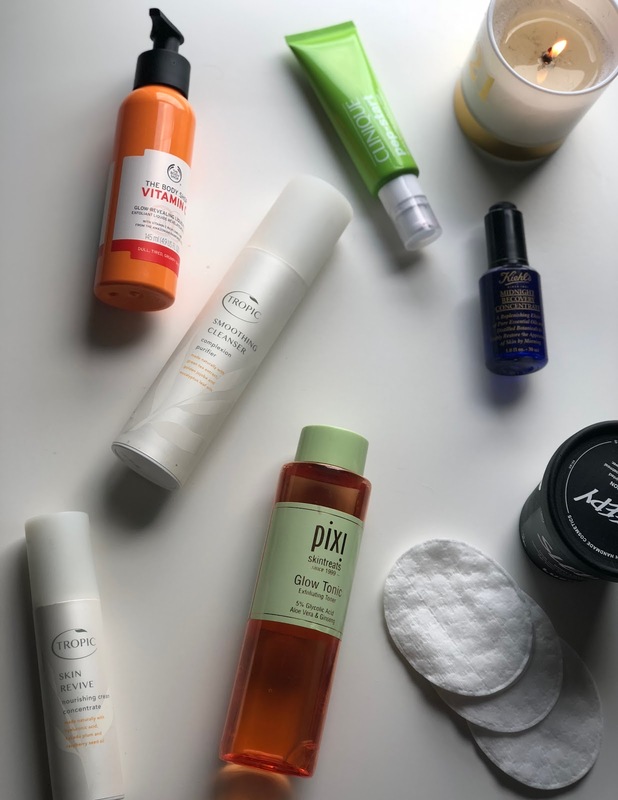 That is it for my Summer skincare routine, but somehow I don't think it'll change much as we move into the colder months. These are my trusty products which I will forever repurchase. BEING EXCLUDED FROM THE INDUSTRY? So first of all here's why I've been gone, I started my second year of uni in September and finished in May. I usually hate those posts of people whinging about time management blah blah but I really struggled with my time management and doing work to a good standard- I'd say my work this year barely passed me through to third year! So that is one thing that has been happening. I'm also decreasing some of my epilepsy medication (can we get a hell yeah!) I will do a post on that separately because I feel like a lot of people should know etc. But one of the side effects of reducing my medication was severe depression and anxiety, now one lot of tablets I'm on already causes that so I had no hope really did I? It felt like my life turned upside down and I was in such a dark place and no one really fully understood- my family are 100% on my team when it comes to mental health but I struggle to physically talk to them so it was hard. 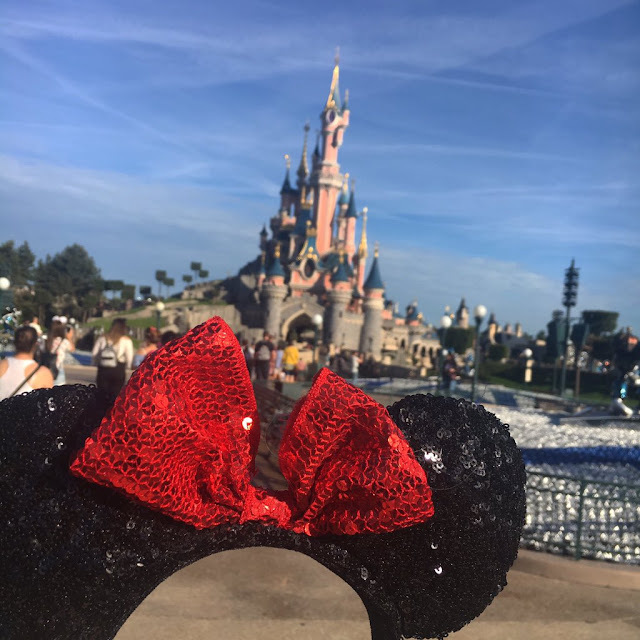 So here's the main reason I've felt the need to write this post- I personally feel like I have been completely excluded from the Norfolk bloggers industry. I completely understand the lack of posts but the thing is if I go to events I have things to write about? One thing that hurts me personally is that I helped set up Norwich Bloggers, we run events for bloggers in the Norwich/Norfolk region which has been incredible and it has been amazing to see so many friendships blossom through it! We're constantly helping brands reach out to bloggers because we have our network so can assist them in finding their perfect blogger. But now it seems we (I say we because I mean myself and Hannah) just aren't good enough. We personally thought we had amazing relationships with a huge number of local brands but that obviously isn't the case anymore. This is such a whiny and bitchy post to start my return with but I feel like I needed to get my feelings out there and that maybe the reason I haven't been posting is because I feel neglected in the local industry? Anyway you will be seeing posts from me at minimum once a week (currently aiming for twice a week) so I'm back guys. Hi everyone, for the first day of blooms I'm starting out with my Christmas wish list. My family find these types of lists really helpful plus I really enjoy making them so that's why I've created this one. After taking a short break from blogging I finally feel ready to come back. So I’m going to start with my first Clinique event which I attended a few weeks ago and also a review of their new 7 day Fresh Pressed Vitamin C Skincare Range, which was the main cause for the event.